Diabetes is a long-term condition that affects almost four million people in the UK. Diabetes type 2 symptoms can include blurred vision, bad breath, or even having a wound or cut that takes longer to heal than normal. But, you could also be at risk of the high blood sugar condition if you have early signs of hearing loss, it’s been revealed. Hearing loss may be one of the earliest signs of high blood sugar, according to medical website Prevention. People that find themselves turning up the volume on the television or radio could be at risk of diabetes, it warned. 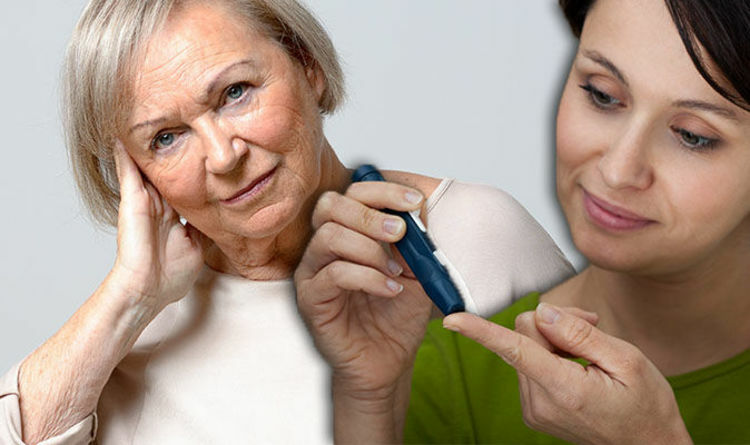 Prediabetic patients are 30 per cent more likely to suffer from hearing loss, scientists have claimed. It could be caused by high blood sugar damaging blood vessels close to the ears. “Not every case of type 2 diabetes symptoms presents the obvious; unquenchable thirst, non-stop bathroom trips, and numbness in your hands or feet,” said the medical website. “If you find yourself cranking the volume on the TV or you can’t get through a conversation without asking people to repeat themselves, tell your doctor you need a blood sugar test. “People with higher than normal blood sugar who didn’t yet meet the criteria for diabetes were 30 per cent more likely to have hearing damage than those with healthy glucose levels. Hearing loss can have a number of different causes, and isn’t necessarily a sign of diabetes. It could be due to a build-up of earwax, an ear infection, or a burst eardrum. A GP may be able to help patients that think they’re losing their hearing. If you suddenly lose hearing in one, or both, of your eyes, speak to a doctor as soon as possible, the NHS said. Diabetes type 2 symptoms could also include an unrelenting itchiness. The itchiness may be caused by poor blood circulation; one of the effects of diabetes. Controlling blood sugar is crucial for diabetics, as they’re more likely to develop some life-threatening complications, including heart disease and strokes.